She and her co-accused, Vietnamese Doan Thi Huong – who also deny murder – say they thought they were part of a TV prank. 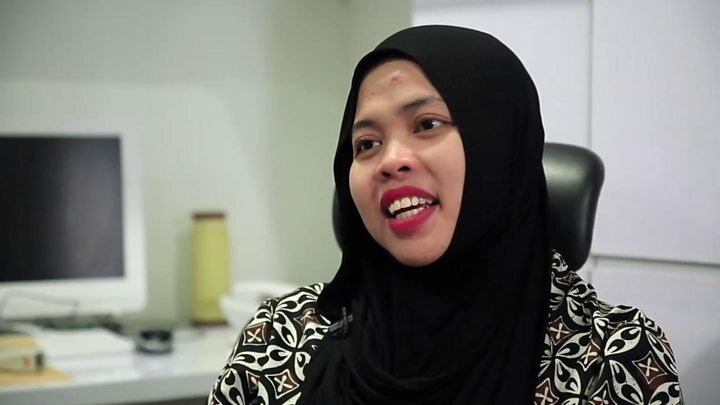 “I never [thought] that I was being entangled to such an extent,” Ms Aisyah told BBC Indonesian a day after her release. Her release does not amount to an acquittal. She could have faced the death penalty if convicted. Ms Aisyah wanted to get some rest and had no plans of returning to Malaysia, she added, expressing hope that Ms Huong could also be freed, as soon as possible. 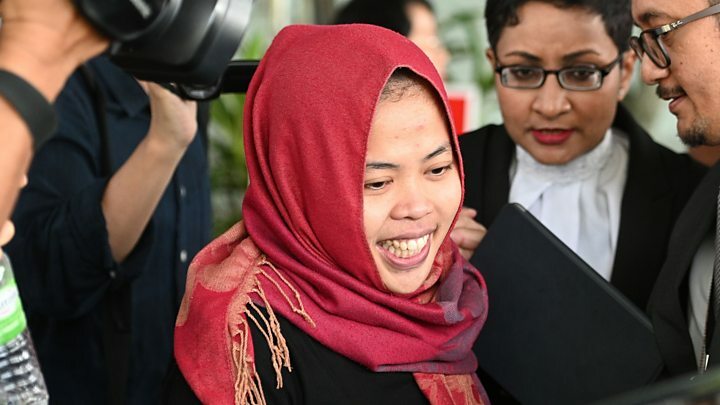 Malaysian Prime Minister Mahathir Mohamad said the decision to free Ms Aisyah had been in line with “the rule of law”. “There’s a law that allows charges to be withdrawn. That was what happened. I don’t know in detail the reasons,” he told journalists. He said he was unaware of any negotiations between Indonesia and Malaysia on the issue, according to AFP news agency. Where does that leave the trial? After several months of delay, the defence phase of the trial was set to begin on Monday, with testimony from Ms Huong. In a letter to the Indonesian law minister though, Malaysia’s attorney general explained the decision was taking into account considerations Jakarta raised about the case as well as the good relations between the two countries. Ms Huong’s case has now been adjourned at the request of her lawyers. Kim Jong-nam, the estranged half-brother of Kim Jong-un, had been waiting to board a flight from Kuala Lumpur to Macau on 13 February 2017 when two women approached him in the departure area. They thought they were taking part in another prank at the airport. Their lawyers had expressed confidence that the court would see they had no motive to kill Mr Kim. The older half-brother of Kim Jong-un was once seen as a future leader of the isolated country. But when his father Kim Jong-il died, he was bypassed in favour of the younger Kim.